Are you ready for a brand new fun and challenging game for your android device? Well you’re just in luck, because Space Jump Zap is fun and challenging, but also casual and relaxing at the same time! It is a game filled with cute graphics and sounds, and can be played by a person of any age. The game requires you to pace your rhythm and be precise with your next moves, while not requiring anything overly complicated from you. Space Jump Zap has a very cool concept behind it. In the game, your main goal is to deal with all the cute menacing aliens in order to defend yourself from them. You have to focus on keeping the aliens in the air for as long as you can. While the game is focused for mostly casual and relaxed gameplay, you still do have to time your taps properly in order to have a smooth progression. 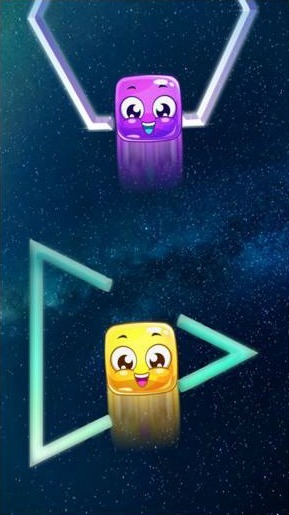 The game is set in a space environment, and is richly complimented with cute graphics and a smooth interface layout. All in all this game puts real fun into your hands. We highly recommend it for people that just want to add a little fun in their lives during those boring couch sessions. If you’re interested, you can find and download the game on Google Play.